As any person, an athlete may get ill due to different factors including injuries. So, they have a right to be cured from their health problem even by using prohibited substances or methods. Due to this reason, ETH-NADO has installed the Therapeutic Use Exemption (TUE) process in order to provide an opportunity for athletes to obtain approval for using a prescribed substances or method for a legitimate medical condition in line with the World Anti-Doping Code and International Standard for Therapeutic Use Exemption (ISTUE). 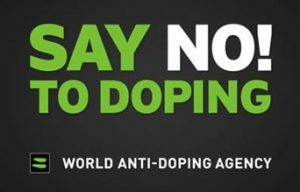 Athletes should abide by the Anti-Doping Rules. Hence, they should advise their medical personnel to determine whether their medication falls under the prohibited list or not. When the prescribed substance or method is prohibited, the athlete is supposed to apply for Therapeutic Use Exemption Committee (TUEC) of the ETH-NADO with legitimate justification for approval. The Therapeutic Use Exemption Committee (TUEC) shall review the application and grant or reject the subscribed substance or method based on justified reasons. The TUEC has 21 days to review the TUE application if all the required medical evidences are provided. If the application is not completed it shall be returned to the athlete. The athlete has the right to get written notification of the final decision of the Therapeutic Use Exemption Committee (TUEC) on the application provided for. The final decision of Therapeutic Use Exemption Committee (TUEC) on a particular Therapeutic Use Exemption application is open to be appealed at different level.